It's me again! haha I'm just making up for losing a few weeks of blogging due to flu. Plus, my hands itch to deliver goodies for y'all. 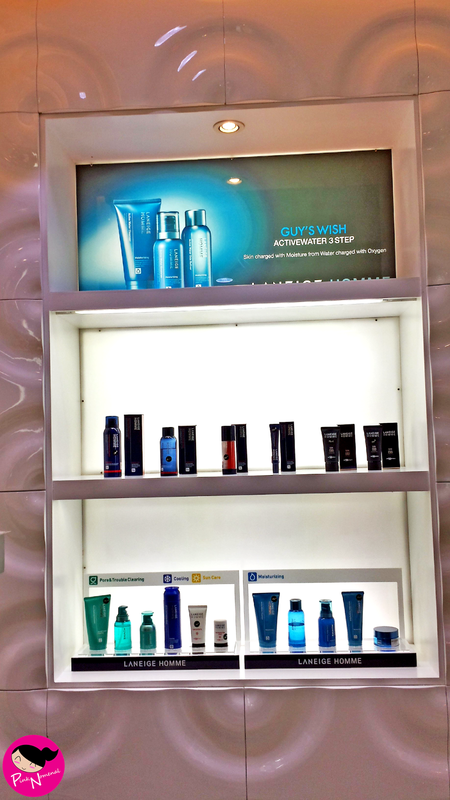 Anyway, I went to SM Megamall (which is one of the biggest malls in the Philippines) last month to search for the perfect gift for my mom in law and realized, what better gift to give than the gift of time? No, I'm not talking about expensive timepiece but that other thing: the gift of ageless beauty. So off I went to Laneige, that high-end Korean make-up brand. 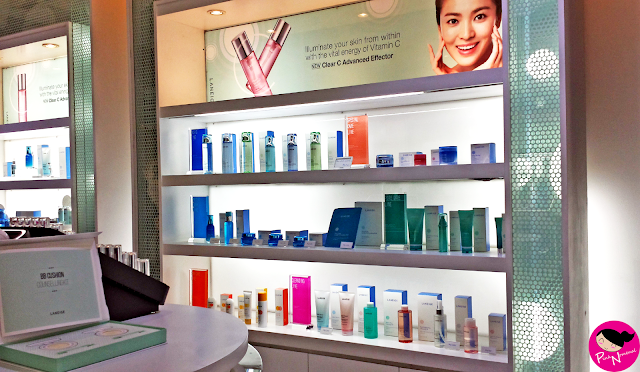 After all, what better brand to buy from than that which specializes in Korean skin care, right? 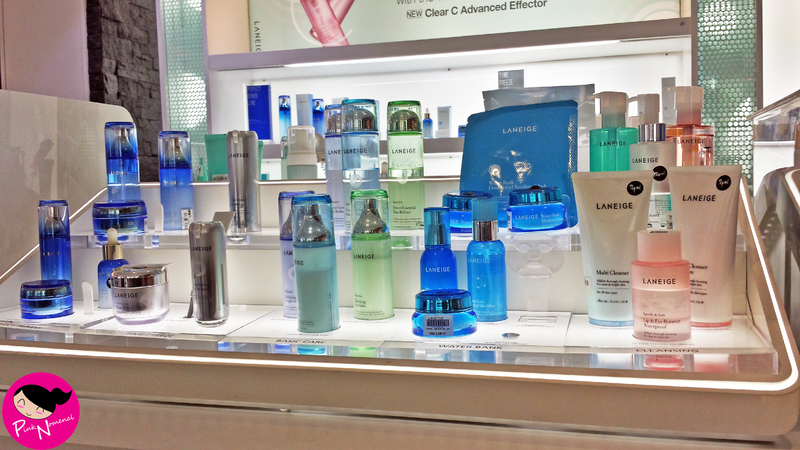 Entering Laneige's flagship store is like entering a prestigious beauty shop. Everything's white, clean and glossy and the few colors that are in are mostly black and blue. Such elegance. Oh hello there, Song Hye Kyo! 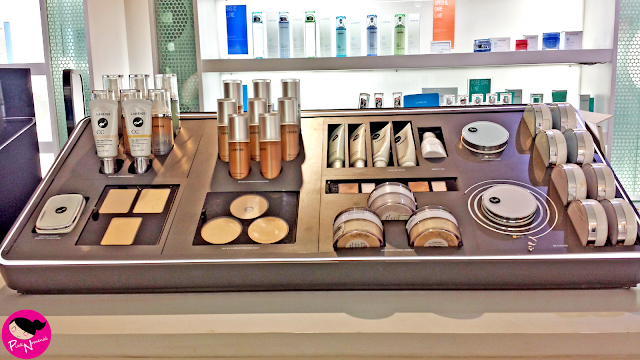 A bulk of the store displays skin care items and only around 10-15% consists of make-up. 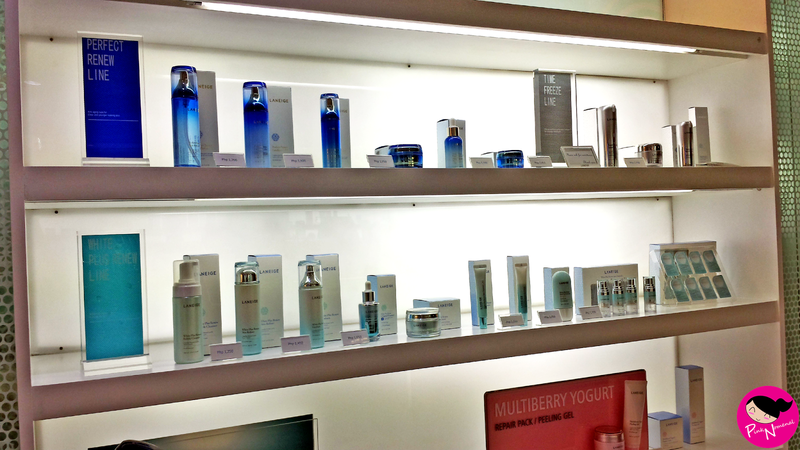 The skin care line ranges from Php1,200 - Php2,000+. 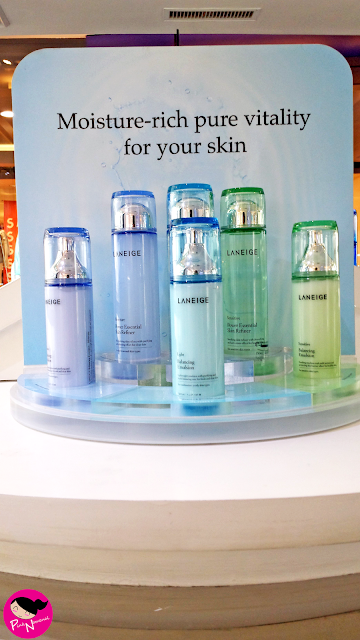 Their make-up remover costs around Php800. Now you men out there, we haven't forgotten about you. Laneige has a line specifically for men too, Laneige Homme! Now we can beauty bond with our hubbies and lovies!!! 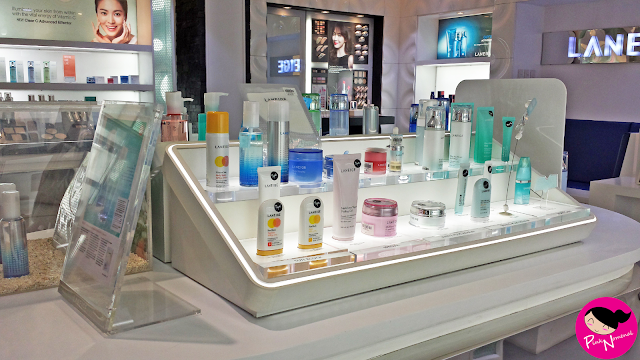 The make-up counters look posh too. 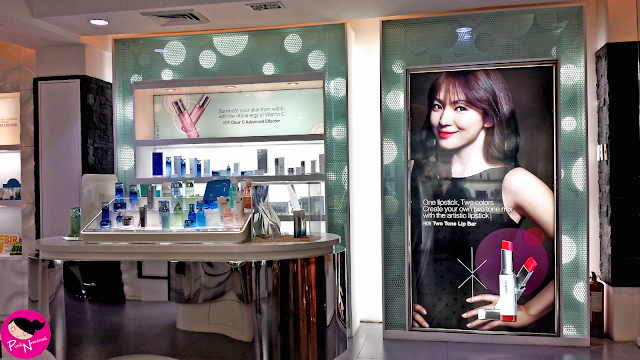 Song Hye Kyo lights up the corners with her ethereal beauty. The foundation and compacts range from Php1,500 - Php1,800 while the cushion is at around Php1,800. 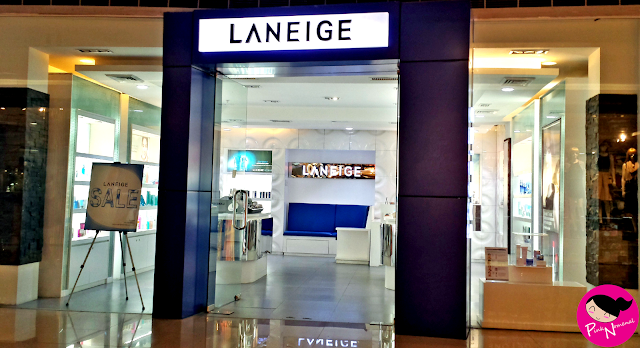 The products are quite pricey but having been able to test quite a few of Laneige items already (Two Tone Lip Bar, Water Sleeping Pack, Lip Sleeping Pack, Brush Pact, etc. ), I say it's value for money. I love how the products are not only high-end looking, they're functional and care for my skin too. For Laneige virgins, I say you visit their flagship store in SM Megamall (Ortigas) to get the full shopping experience since it's their biggest boutique. 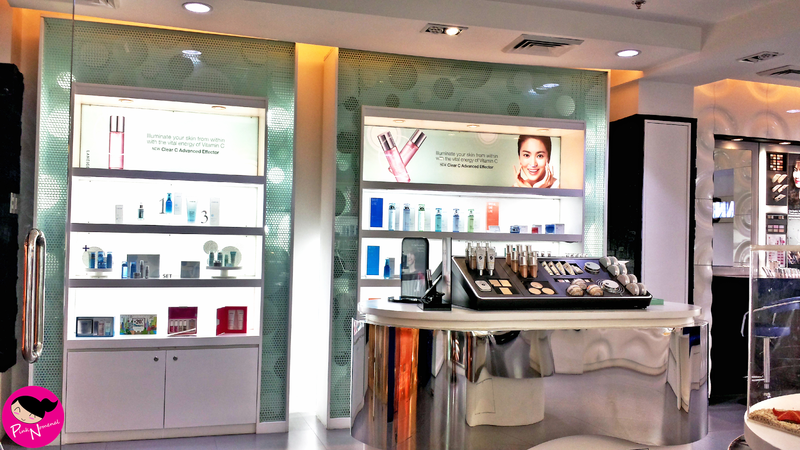 For those living in the South, I reco SM Mall of Asia branch. 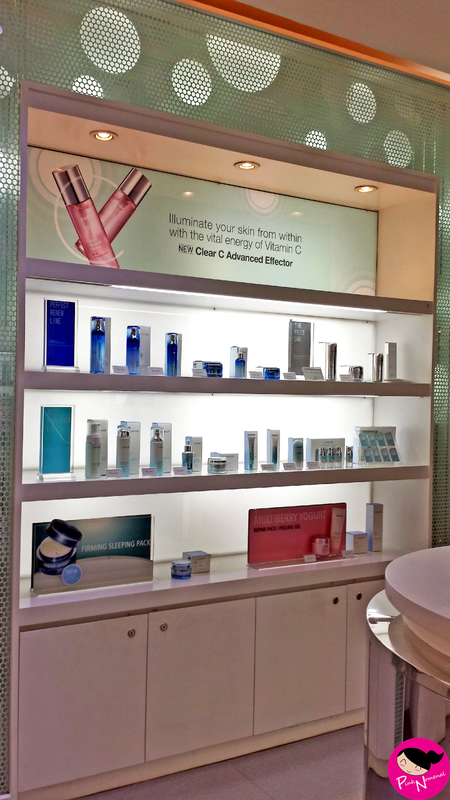 They've got awesome sales people who really listen to your skin troubles and present you with compatible solutions. 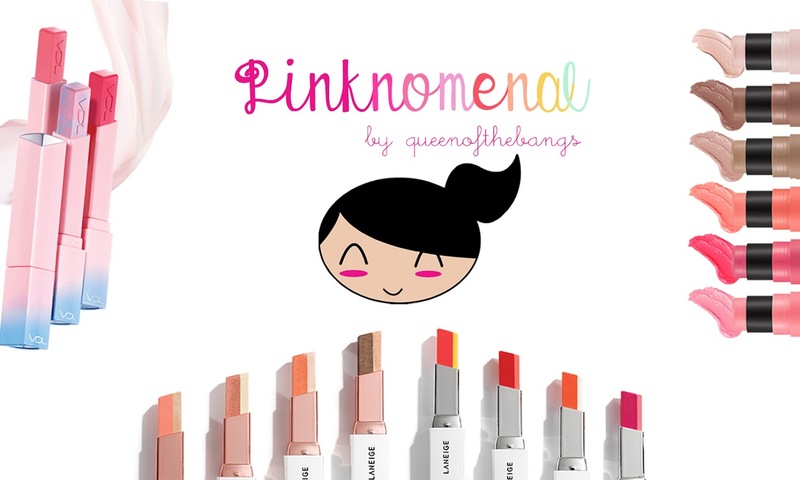 Until my next beauty haul! 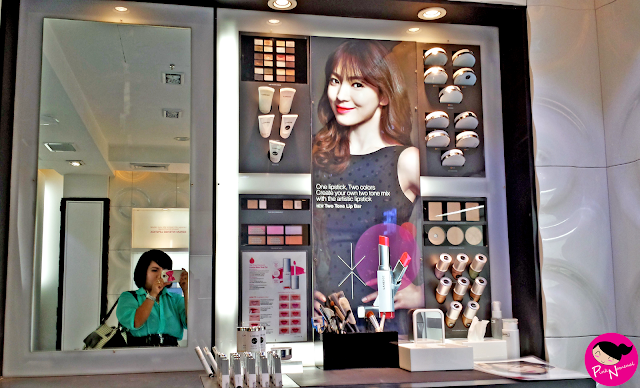 I really like to read review about beauty novelties and of course bright photos could be a great benefit. This could help me to know prices of Grademiners before other people. Sometimes I go abroad and buy a lot of clothes and cosmetics to sell them at home. This can earn me extra money.